Abstract: This in-depth case-study reveals the method and the madness behind Electronic Arts use of cross platform marketing to communicate separate, self-contained elements of the much anticipated release of their first survival horror game, Dead Space. 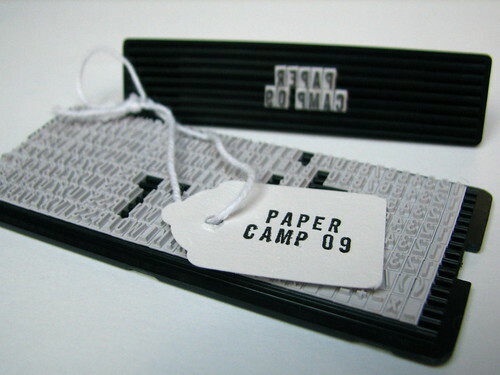 For this release, EA packaged a comic book, a prequel DVD, and an online experience in order to build, create, and cultivate an audience around the Dead Space brand prior to the official ‘street date’ launch. Rose: We’ve had a century of linear storytelling, now the internet makes a new kind of narrative possible. Not just watch, but participate. Entertainment can be immersive. e.g. Battlestar Gallactica tells its story through TV, online video, multiple blogs, etc. EA has a new strategy, IP cubed, rich storylines that can be extended into other media, not just as spin-offs but as a core way of telling the story. Dead Space was the prototype. It’s an example of Deep Media. 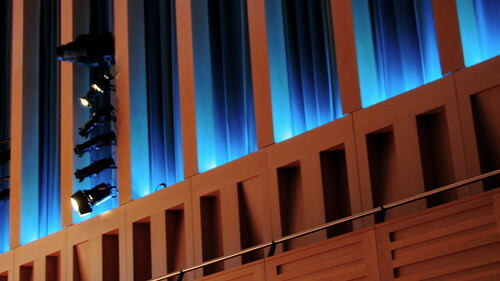 Green: Challenge – how do we build a community and build an audience around 500 years of back story? Content that also works as marketing. Each component should stand on its own. The marketing is the content. Templesmith: 6 episodes make the comic valuable thing in its own right. It wasn’t perceived as pure marketing. Q – Which element was most successful? Shafer: in this case, the story was art. In other cases we can listen to the community, understand what they want and be nimble enough to change based on their input.. that will drive success in the long haul. Q – How much resource does each component take? Can you do it without all the components. A – (Green) I don’t think you need any budget. You need a community platform with a passionate, creative centre. Give it to the community and allow them to participate and create around it, and maybe even help write it. It’s all about starting. Start building a community. Q – Would you do the website again? A – (Green) Yes. From ROI perspective it was high. Also useful to get the analytics, which you wouldn’t get from offsite services. Q – for the website, what were the biggest sources of traffic? A – Editorial mentions creating organic traffic. Getting on Kotaku and the link from Wikipedia. Q – Does the website still get traffic? A – (Schafer) One fifth of the traffic to site has come after launch of game. A – it’s become a consumer expectation. Q – How hard is it to break new IP in games industry? A – it’s risky. That’s why EA has (up to now) built a career on licensed IP. Budget levels for new games are hard. It’s also a sequel business. Rose’s thoughts on Dead Space as Deep Media can also be found in this post on his Deep Media blog. Abstract: John Gruber (DaringFireball.net) and Merlin Mann (43Folders.com) discuss the current state of blogging as a medium for creative expression, weighing the opportunities and challenges of building a thoughtful online presence in a world where everybody owns a printing press. They’ll consider the ascendance of Digg-friendly “problogs” and debate the subtler pleasures of careful writing that reaches smaller, but potentially less “profitable” audiences. Acknowledging the silliness of their title, Merlin and John did a great job of being entertaining whilst also being interesting and useful. Well worth listening to the podcast of this one, whenever it comes out. Mann: Stephen King’s ‘On Writing’ talks about ‘the ideal reader’. Others call it ‘the first reader’. Have a picture in your head, the face in the monitor. Who are you writing for? Mann: I think social media is important enough to take seriously. Social media is not about what you have to say, it’s about having the tolerance to cope with what people say to you. It’s a giant set of extremely sharp knives. You can use it for good or for ill.
in fact, have a blog about that one Jawa who is only the scene for a minute. It’s going to be so much easier for you to dominate. When writing, include not just what happened, but what does it mean, what do you think about it. There’s a ton of people who can tell you something happened. Give away more stuff than you think is sensible, and make it easy to get to. Update: you can listen to the session on 43 Folders and read what John has to say about it too. Microcelebrities are different to real celebrities because they know who is reading their blog etc, but there’s still a power inequality. We’re largely unaware of the information companies hold on us. If we saw it we’d make more intelligent choices. See Jane Jacobs on surveillance – we invite a level of surveillance that is useful to us. and you should read Jeff’s post about the panel too. I love Donath’s digital mirror concept. Also, I need to read Jane Jacobs’ The Death and Life of Great American Cities. Television has always been a social thing. Whether it’s because you’re watching it with family and friends at home, watching football in the pub, chatting at school or work with friends about that programme that you all love the night before, television is about much more than a broadcast. During the recent US election, I was being rather traditional, tucked up in bed listening to Radio 4 (quite different from my approach in the 2005 UK general election, when Nick and I were even live-blogging the action). While I was being sleepy and passive this year, my friend Jo was being social online. 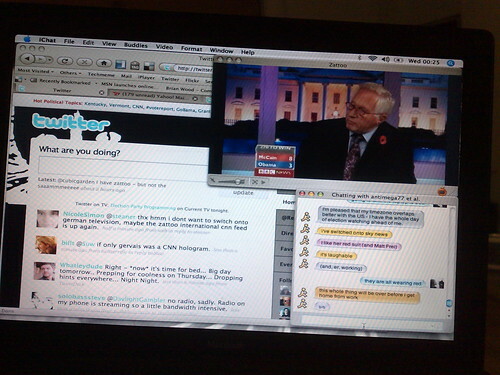 Here’s what her screen looked like, complete with live-streaming BBC News, IM chat and Twitter. There are a few blogs about television. Watchification is “selecting the really good stuff from the BBC iPlayer…” and other sources. (Disclaimer: I’m the tech geek behind the curtains at Watchification). Curation is interesting. By highlighting Twitter, Delicious and Flickr content, the tag pages are getting (IMHO) more useful too. Smashing Telly is “a hand edited collection of the best free, instantly available TV on the web”. Like Watchification, it’s an example of comments around curated programmes rather than live chat. I’ve only just started using it, and although it seems far from perfect it is only an alpha at this stage. The integration with other platforms, the desktop app and the last.fm-like scrobbling looks interesting. Find your favorite TV shows and brand new ones you’ll love, Share shows you like with your friends and see what they are watching, Download or stream TV shows from dozens of places online, Get involved and post your thoughts, improve our guide or add pics and vids. YouTube started offering video annotations after Google acquired Omnisio but only (so far) gives the video uploader a way to add annotations to the video, so it’s not (yet?) 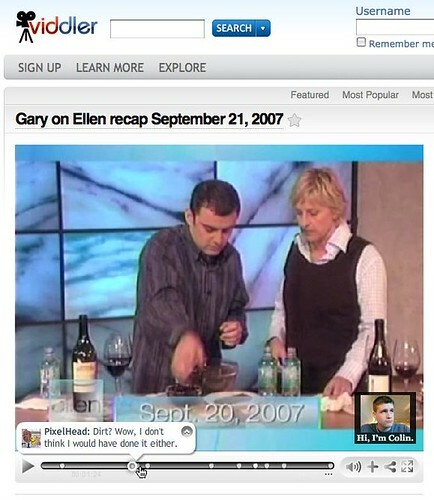 a social annotation tool. Viddler, on the other hand, offer time-stamped comments and tagging, which are displayed along the video timeline and (by default) pop up at the appropriate time. 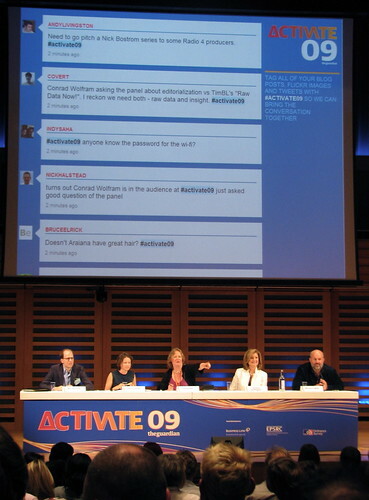 CurrentTV recently partnered with Twitter to display relevant Twitter updates live on-screen. 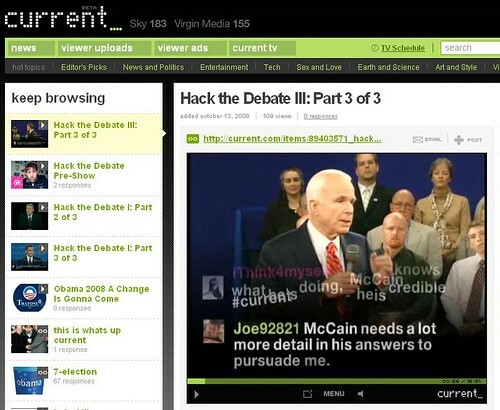 Discuss the presidential debates while watching it (using Twitter tags) and have your comment displayed on TV. MTV’s Backchannel takes a different approach to annotating episodes of The Hills, turning the process of ‘tagging’ and ‘clicking’, to endorse a tag, into a game. Playing Backchannel won’t (as far as I can tell) stream the show to you, you just play in the browser while you’re watching the show at the same time. When I think of live chat around TV, I think of Joost. Joost’s ‘channel chat’ has been overhauled a couple of times since the early days (I seem to remember it being initially based on IRC, then in 2007 they announced a partnership with Meebo) and more recently it seems to have gone away completely since they moved to Flash (or am I missing it?). 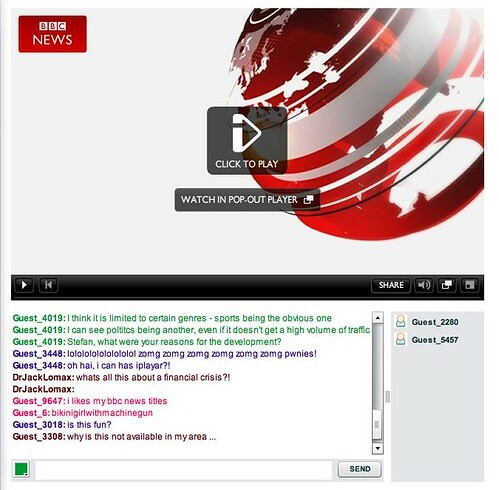 BanterTV combines iPlayer simulcast embeds with real-time chat. Watch thousands of movies and tv shows with your friends and chat live while you watch. What about the BBC? 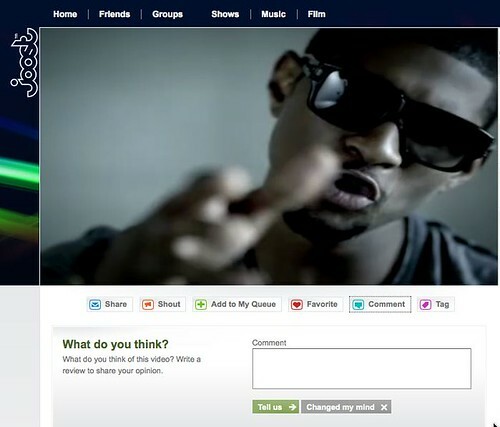 Anthony Rose recently announced some prototype work with Microsoft, in which iPlayer was hooked up to Windows Live Mesh. This was announced recently at Microsoft’s Professional Developer’s Conference and blogged in more detail by Microsoft’s Marc Holmes. Strategic, or experiment? You decide. Of all of them, I find the asychronous chat using comments in the timeline on Viddler, and the game-playing elements of MTV’s Backchannel to be the most interesting. There must be lots of examples I’ve missed, but it’s an area I’ll continue to watch with interest. Here are my notes from Playful. James Wallis (Spaace) woke us all up by blowing our minds. He’s shared his slides (also embedded below) as well as publishing some notes on his blog. Why are they called ‘plays’ when there is no play? Roo Reynolds was up next (that’s me!). I muttered some un-prepared and technical-hitch-ridden gubbins about my Rock Band MIDI guitar hack. Steve took the lovely photo on the right. Tom Armitage captured some lovely HD footage of what was (for me) the the highlight of the presentation, an attempt at playing Hotel California. I’ve retro-engineered some slides (essentially some photos of the action and some screenshots of what I was doing at various points during the presentation) which I’ve uploaded to SlideShare along with the audio from my session to make this slidecast. The audience seemed to be genuinely warm and on my side, despite frequent technical glitches with audio and my general air of random ill-preparedness. Thanks for bearing with me, everyone. Adrian Hon (Six To Start) decided not to talk about his specialist subject of ARGs, displayed a touching openness and honesty about a close shave with game-induced alcoholism. “I started drinking because I was playing Team Fortress 2 a lot”. Chris Delay (Introversion Software) talked about Procedural Generation (aka ‘how to make expensive game content when you can’t afford an art team’. He demonstrated some lovely work in his upcoming new game ‘Subversion’. Eric Clough (212 Box) told us about his (incredible) ‘Mystery of Fifth Avenue‘ project. Alex Fleetwood (Hide and Seek) talked about an interesting project but asked us not to blog about it. Since I (foolishly) stopped taking notes at that point, I have very little recollection of what he told us, so can’t decide if there’s anything I should mention here. Ah well. Tom Armitage (Headshift) was, as always, both clever and thoughtful. Plus he made me want to play Fable 2. Social software. Software about people. More than one person. Supercontext. Grant Morrison via Matt Jones. The real world is asynchronous. Geometry Wars 2 – Playing online vs sharing highscores. Sync activity with shared context. Everything is multiplayer now, but actually Everything always was multiplayer. Sharing context, at least, if not location. Multi play is a sliding scale. Lots of prototypes and robustness testing. Does it break? Is it fun? Pom Pom Party (pink and green physical pom poms). Cheerleading game. Three components of ‘game literacy’: Systems. Play. Design. Showed Gamestar Mechanic demo – launching early next year. ‘Giving the blind computer a view of what’s going on in the room’. Iain Tait (Poke) talked about high-scores. What do they mean in 2008? Jolyon Webb (Blitz Games) talked about teeth in video games. I’d seen the (incredibly powerful) dying man tech demo video from TruSim before (last year, in Coventry) but it’s very very good, and still makes the hairs on the back of my neck stand up. This was a funny presentation, mainly about teeth. Why are they so badly done? Because designers don’t care? Kieraon Gillen is an editor at Rock Paper Shotgun, which I’m duty bound to like, because they linked to my ‘LEGO is full of WIN presentation earlier this year, which surprised me as it’s not in their usual field; PC games). Kieron seemed slightly flustered, but made some very astute (and very funny) points about games. 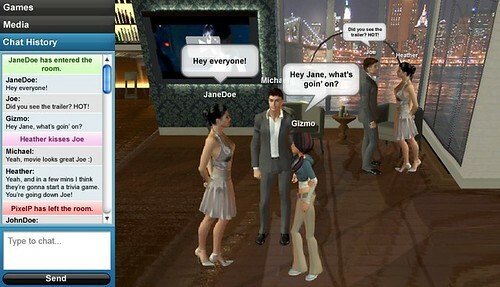 Why has nobody ripped off the Sims? Learning from other people is good. In short, Playful was a brilliant conference, and I had an amazing day.